Minotaurs are brutish anthropobovine creatures who normally live in small tribal settlements on fertile grassland. They are nomadic and naturally violent, although they lack the technological advancement to be a real threat to any but those who wander foolishly into their territory. 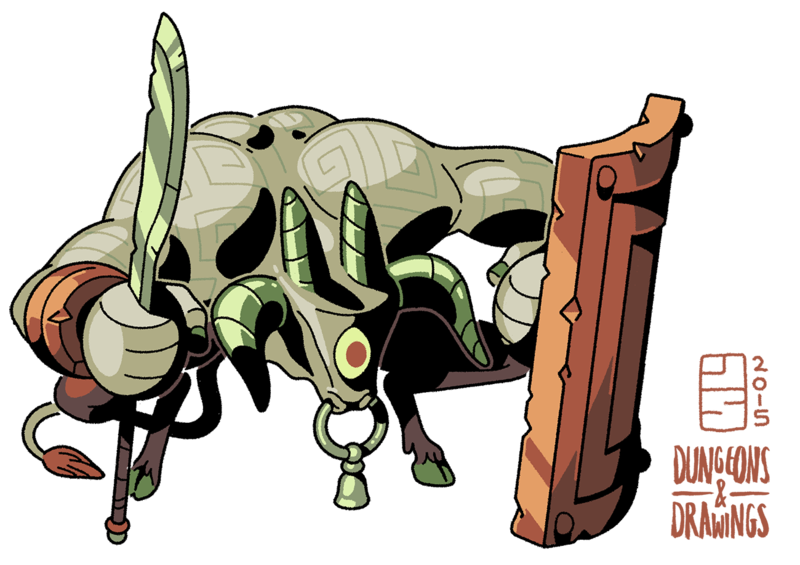 Minotaurs are famously popular as guards, henchmen and general muscle for the discerning Evil Guy on a budget. They are easily found, easily dominated or merely impressed by magic, and serve as a cheap but impressive display of power capable of intimidating most people you are likely to want to intimidate. Look past the quick temper and weakness for brightly-coloured fabrics and you have yourself a reliable minion.